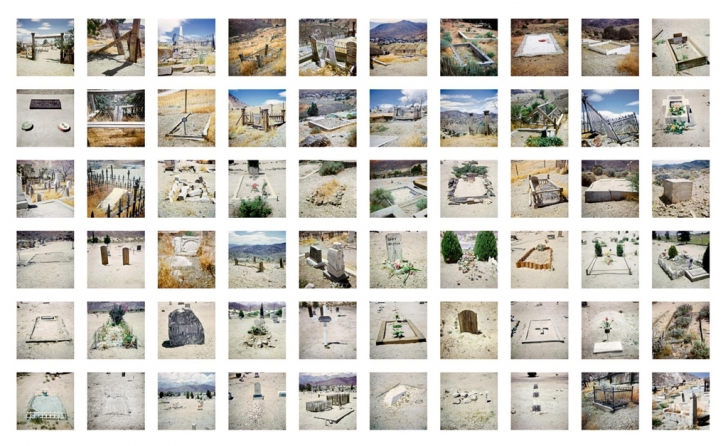 In the series Western Graveyards, Nancy Holt is again recording individual elements from an existing sign system and representing them as an artwork. 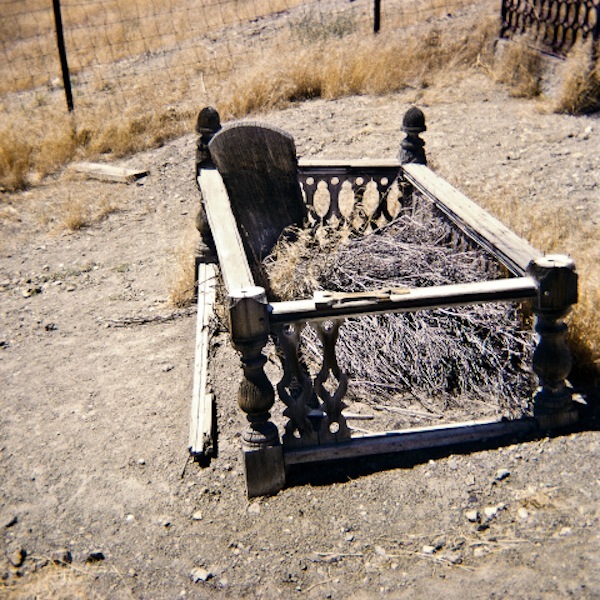 Here the playfulness of the California Sun Signs is replaced by a poignancy that comes from our encounter with people we never knew through a series of photographs of their last resting places and the way the lives have been memorialised. For me, the series is fascinating in several ways. Firstly, for a Londoner, especially in this summer of rain, the unfamiliarity of graves within a desert landscape is striking; the desolation of the location and the dilapidation of the graves seems at odds with the bright sunlight. There are sixty pictures in this body of work, which makes for relentless viewing. Each grave represents a life lived – and in some cases more than one, where family members are buried together – and the degree to which the grave has been marked and maintained becomes a key signifier in any bid to work out anything more than each person’s name and dates. There is a sense in which the series is compelling in a similar way to people watching, but here the person is absent and we are left making meaningless judgements on very little information. One of the strange features of quite a few of the graves is the way in which the space is defined. The dead are fenced in, almost caged. In a way the images epitomise Holt’s interest in the relationship between the human scale and the landscape, something that is evident in her land art. 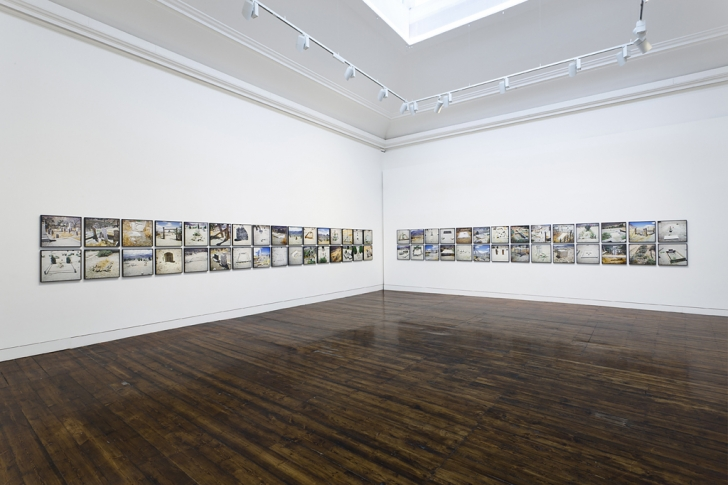 And among the repetition of such a big series – and all sixty images are shown in a two-wall grid in Nancy Holt: Photoworks at Haunch of Venison – there are individual images that are almost unbearably touching. The most striking of these the plot marked by a simple plank of wood, with a few scattered flowers, bearing just the words ‘Baby Baxter’. Though the aspect of this piece that is the most interesting is probably the relationship between the vast landscape and the containment of each individual plot, the images that have legible text have inevitably trigger thoughts about those buried there in a different, more speculative way. The sign of a gravestone is one we recognise but in a series such as this they become curiously defamiliarised; in part perhaps this comes down to the location. For me at least, this is a landscape that is only really familiar from film, giving it the feel of a fictional space in which the dominant narratives aren’t so much of lives lived but of stories told. 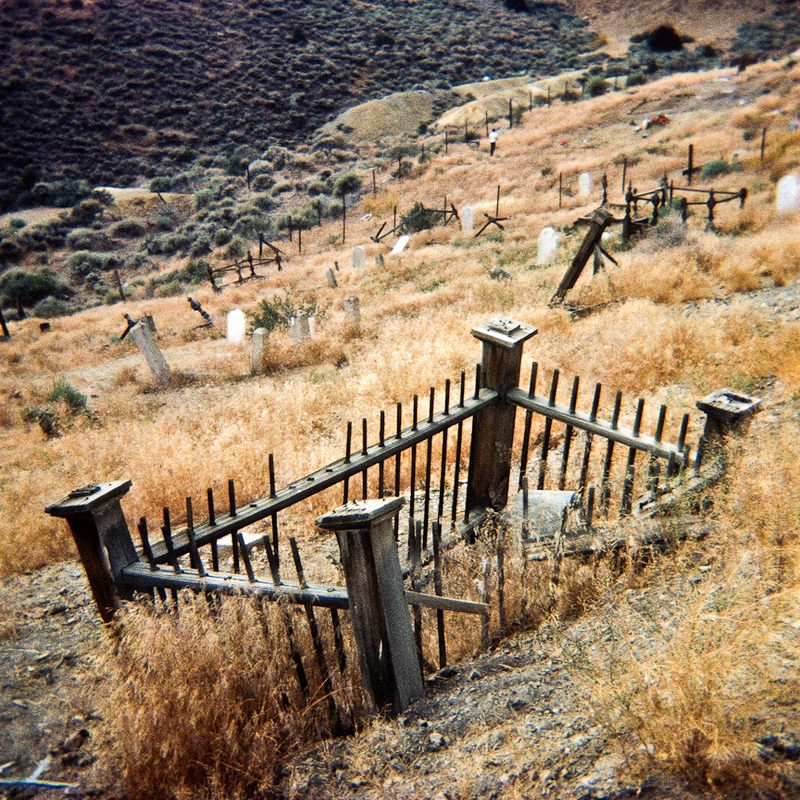 This entry was posted in Photography, Text and tagged art, Nancy Holt, photography, text, Western Graveyards by Ann Jones. Bookmark the permalink.